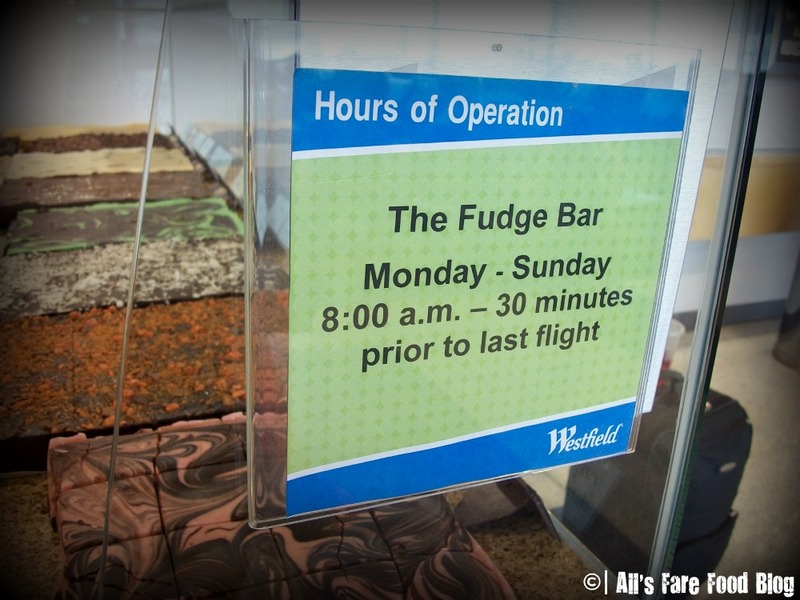 If you happen to have a domestic flight out of Boston’s Logan Airport with JetBlue (Terminal C), just like I did recently, you can indulge your sweet tooth with some fresh, homemade fudge treats. 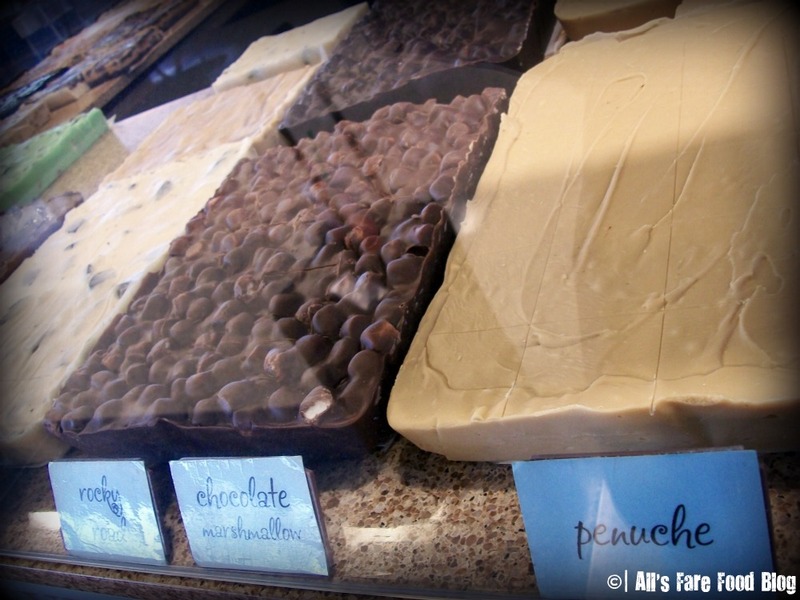 Rocky Road, Chocolate Marshmallow and Penuche are some of the flavors you can find. 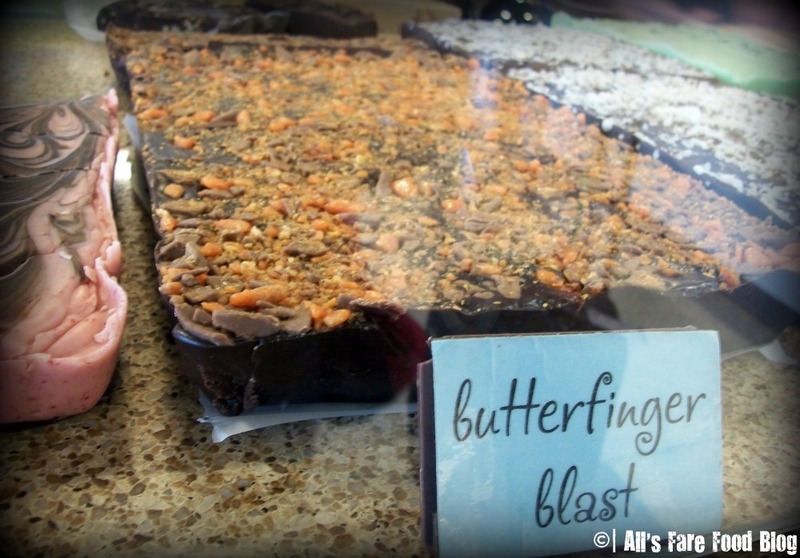 Butterfinger Blast-flavored fudge will satisfy those peanut butter lovers before or during a flight. 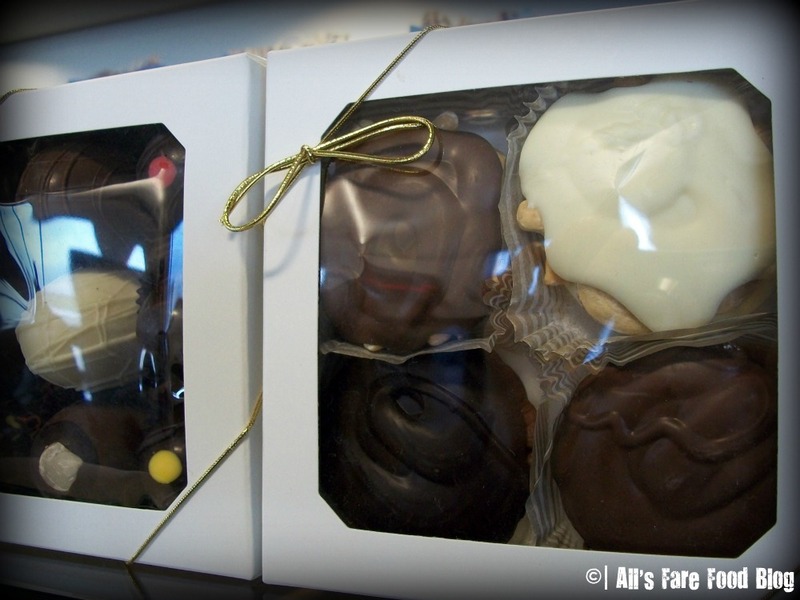 If you happened to forget that special someone back home, you can quickly grab some pre-wrapped sweets, and no one will be the wiser that you forgot them! I think these might be turtles or perhaps homemade peanut butter cups? However, not quite sure. 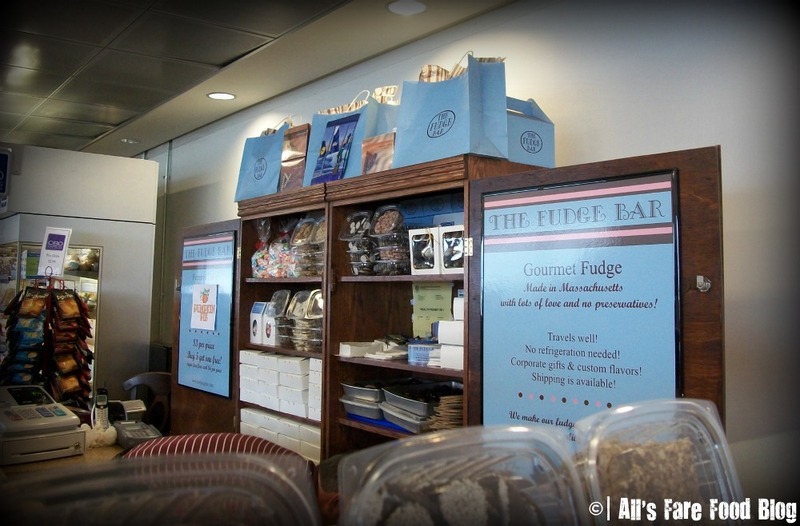 The joy of having a flight out of one of the farthest gates at Logan – I found this cute little stand that smelled awesome! 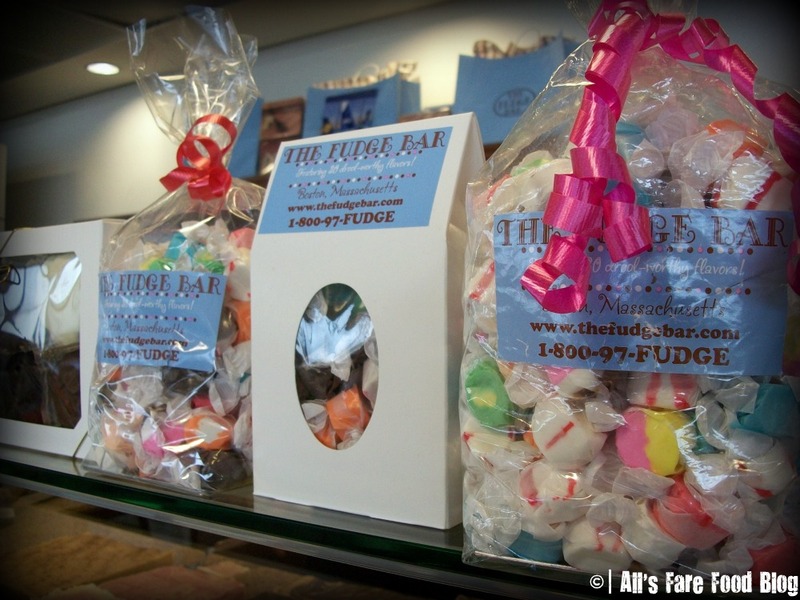 The Fudge Bar is open daily at 8 a.m. You can also find them online at www.fudgeislove.com, where you can order fudge, salt water taffy and more for delivery across the U.S. 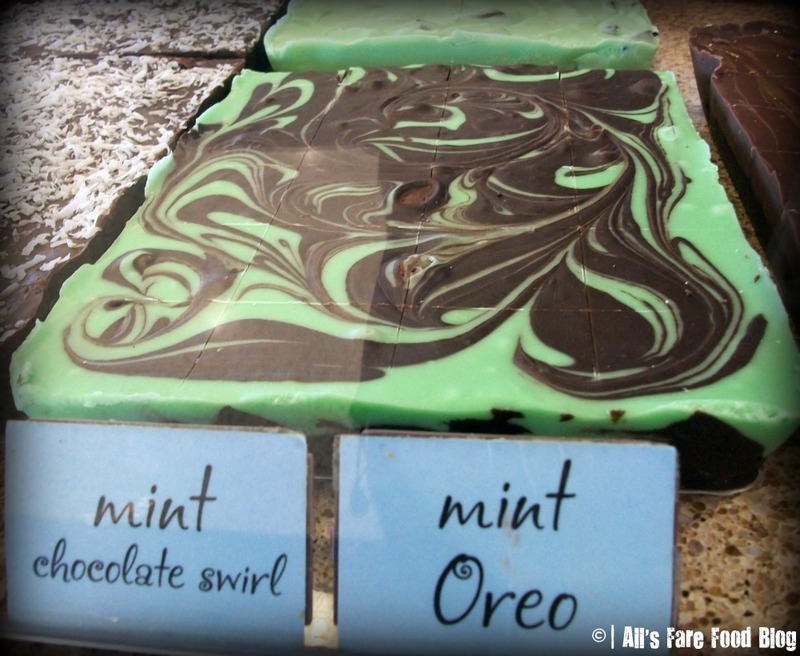 This entry was posted in Foodie Destination, Places - Boston and tagged Boston, delivery, gifts, JetBlue, Logan Airport, salt water taffy, sweets, Terminal C, The Fudge Bar by Christina. Bookmark the permalink. This might not be the ideal place to request this, but I’m trying to find Boston Airport Transportation Shuttle and have no method to find out where to find the very best. I uncovered this company which is really close to me and wanted to see if any person has any reviews on them. Transportation of New England (http://www.transportationofnewengland.com). Please help me with this as my husband and I have been struggling to find a good/reliable Logan Airport Transportation Services.